When you think about how your diet affects your appearance, your thoughts probably first turn to your weight. But your diet affects far more than your clothing size. It can also affect the appearance of your skin. And if you aren't getting enough vitamins from your diet, particularly vitamin A, your skin is going to show it. In fact, as far back as 1925, scientists were linking vitamin A deficiency to squamous metaplasia (non-cancerous changes in surface cells) and epithelial keratinization (hard and dry skin). 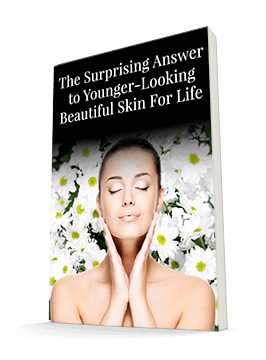 Since then, we've also found that vitamin A deficiency can cause rough, dry, scaly skin as our bodies struggle to produce their natural oily secretions. This can lead to rough, raised bumps on the arm called hyperkeratosis pillaris, which I've written about before. This condition is widespread, found in nearly 40% of adults. Some dermatologists think these conditions are inherited and can't be helped. But I don't think that's quite true. In fact, many of my patients have seen significant improvement simply by adding more vitamin A-rich foods to their diet. Vitamin A helps your skin cells differentiate properly, keeps your sebaceous glands from working overtime, and suppresses androgen formation. It also encourages cell turnover to keep your skin looking fresh and healthy and helps prevent acne. It's definitely a key factor in having glowing, healthy skin! You can find vitamin A in a variety of foods. Some of the best sources include liver (not one of my favorites, but if you eat it, please try to get baby calf liver and/or organic or pasture-raised) and cod liver oil or fish oil (preferably top grade and tested - e.g. Nordic Naturals), but you can also find it in cream and butter from pastured cows, and egg yolks from pastured chickens. You also can try fish oil supplements that contain vitamin D and DHA. By doing so, you'll get vitamin A, DHA and the added benefit of vitamin D, which also benefits your skin. If you'd like a vegetarian option, try Advanced Bionutritionals Advanced Greens Formula. You'll get 50% of your daily vitamin A needs from 100% natural sources. Calorie-for-calorie and serving-per-serving Advanced Greens Formula is probably one of the most concentrated sources of nutrition.